Please see the previous post for installation comparison and more information on the Chen Qiulin exhibition at Telescope. 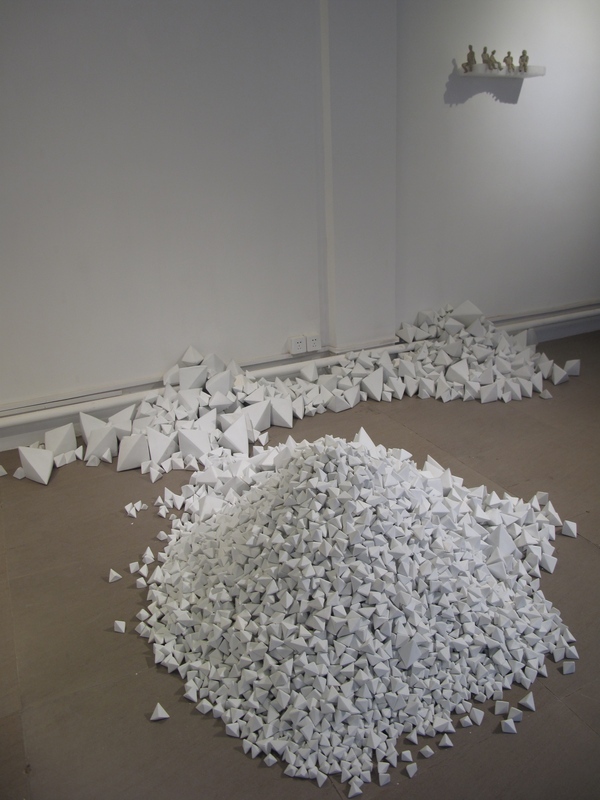 Past Hammer Projects artist Chen Qiulin’s installation at Telescope has continued to grow as more porcelain ‘zhezhi’ (folded paper objects) have arrived from the Jingdezhen porcelain factory in southern China. The title of the piece, 14,235, is also the number of individual pieces in the work of art. 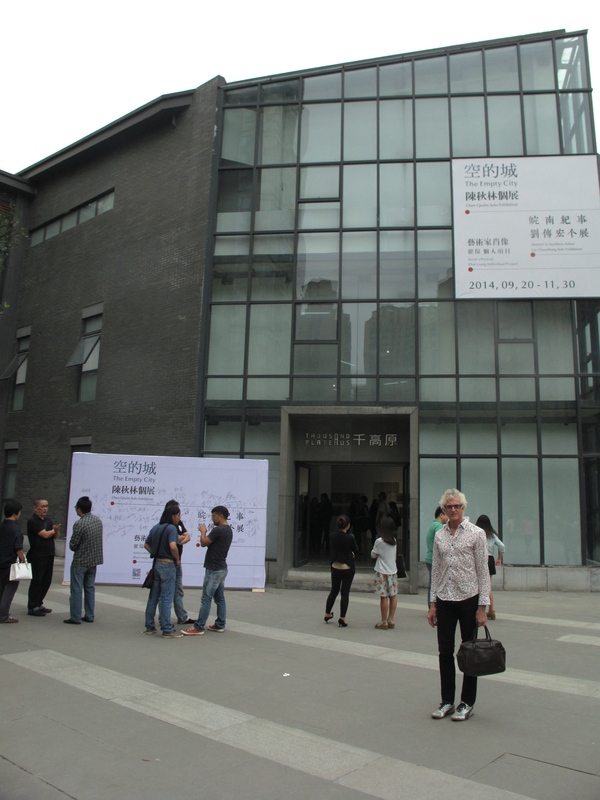 She has divided the work into two installations, one at Telescope in Beijing and the other at her solo exhibition at 1000 Plateaus Gallery in Chengdu, which also includes photos, sculptures, and the 7 channel video installation Empty City. The white wall installation photos are from Telescope and the dark wall installation photos are from 1000 Plateaus.